National Cheeseburger Day is coming up on September 18, but this doesn’t mean that all of the vegetarians and vegans out there can’t celebrate. 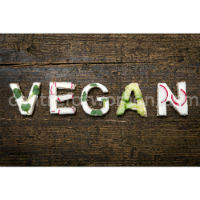 In fact, there are plenty of delicious plant-based recipes out there that even the most serious meat eaters will enjoy. Check out a couple of vegan recipes for National Cheeseburger Day below to get started. Cook the chickpeas and rice, and toast the seeds until they’re light golden brown. After chopping the veggies, combine them with the hot rice and chickpeas and use a masher to mix them up. Then preheat a skillet on medium-high heat while you stir the rice, chickpeas, and chopped veggies in with the seeds, sauce, flaxseed, and breadcrumbs. Add as much red pepper flakes and salt as you like. Then create and fry patties and serve on buns with your favorite plant-based cheese, such as from Daiya or Field Roast. Another one of the popular—and easy—vegan recipes for National Cheeseburger Day is a black bean and zucchini cheeseburger. For this, you will need a cup of shredded zucchini, a cup of black beans, ½ teaspoon of steak seasoning, and 6 tablespoons of ground flaxseed. All you have to do is mix all of your ingredients together in a bowl and mash it all so that you can then let the mix sit for a bit to allow the flaxseeds to work their magic and make it easy to form patties. Grill your burgers for a couple of minutes on each side and serve on your favorite buns with some plant-based cheese and whatever condiments you prefer. As you can see by just these two examples, there are ways to indulge in vegan recipes for National Cheeseburger Day. With plenty of protein, vitamins, and minerals, and without the fat and cholesterol of meat, these are sure to hit the spot and keep you on your fitness track.